ATTENTION non-U.S. filmmakers, the new International Call deadline of December 10, 2010 is sneaking up on us all. In order to prepare the most competitive applications possible, ITVS is pleased to be hosting this live chat about the funding deadline to answer questions about the application process. Senior Programming Manager Cynthia Kane and ITVS staffers will be online to field questions in real-time starting at 5 AM Pacific (find out what time that is for you.) Please sign in below and start loading your questions. We hope to get to them all! 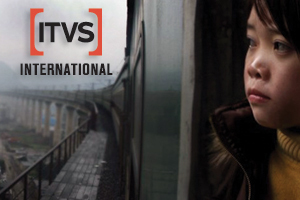 ITVS International Call About the International Call: International Call provides production and/or post-production funds for single non-fiction television documentaries that bring international perspectives, ideas, stories and people to a U.S. audience. This initiative is for non-U.S. producers and filmmakers who live outside the U.S. Find out how to apply and join our International Filmmaker Networking Group on Facebook.